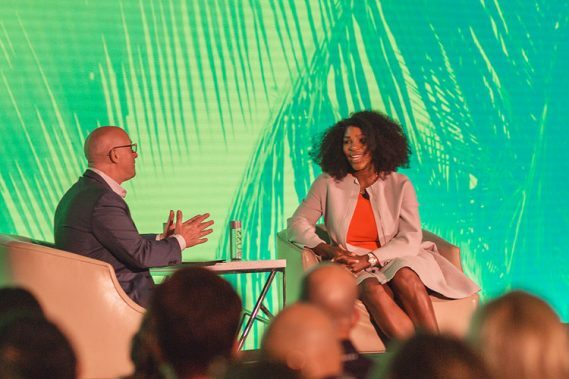 Virgin Pulse, the leading global provider of digital employee health and wellbeing engagement solutions that members love to use, announced that Serena Williams, one of the greatest living athletes, will keynote the company’s annual Thrive Conference, April 9 – 11 at the Eden Roc hotel in Miami Beach, Florida. As the event’s keynote speaker, Serena Williams will share her journey to becoming one of the world’s greatest tennis players, including the ways she’s used wellbeing practices to optimize her performance and balance her rigorous training schedule with new motherhood. With twenty-three career Grand Slam titles, sixty-six singles championship titles, and four Olympic gold medals, Williams is one of the greatest athletes of our time. Williams is also a successful entrepreneur and devoted philanthropist, focused on creating equity through education and assisting victims of senseless violence. Her talk will take place from 10:45 – 11:45 AM on Tuesday, April 10. In addition to hearing from Williams, Thrive Summit attendees will experience the creative genius of graffiti artist and best-selling author, Erik Wahl, and will have the opportunity to attend client presentations and hands-on workshops as well as meet and network with industry thought leaders, Virgin Pulse executives, Science Advisory Board members, and key clients. David Osborne, Virgin Pulse CEO, and Ron Hildebrandt, Chief Product Officer, will unveil the latest technology innovations for employee wellbeing, including new applications of Virgin Pulse’s proven behavior change platform and a preview of the company’s product roadmap. Dr. Ron Goetzel, Senior Scientist and Director of the Institute for Health and Productivity Studies, will share the latest research on the efficacy of wellness programs, addressing the controversial question of whether they really work to drive outcomes. Dr. BJ Fogg, Director of the Persuasive Technology Lab, Stanford University, will teach attendees how to inspire long-term behavior change, driving better habits both in and outside of work. Virgin Pulse clients, including Northwell Health, Movement Mortgage, and Argonne National Laboratory, will present the results of their employee wellbeing and engagement programs, which have led to improved culture, health outcomes, and employee retention. Joseph Burton, CEO of Whil Concepts will lead a “Mindful Leaders” pre-conference workshop on April 9 from 3-5 pm. This highly interactive workshop will teach attendees techniques to apply mindfulness and emotional intelligence training to their daily lives and company culture. Global employee rewards recognition leader, O.C. Tanner, will present its latest research on how delivering an integrated employee recognition and wellbeing experience can help organizations build healthier, more engaged workforces. Virgin Pulse Partners, including O.C. Tanner, Whil, InfoTech, LandIt, MeQuilibrium, Sleepio, Wellness Corporate Solutions, and Zipongo, will demo their wellbeing software and solutions in The Hub Partner Pavilion, designed to showcase the power of a fully integrated, personalized wellbeing and engagement program. 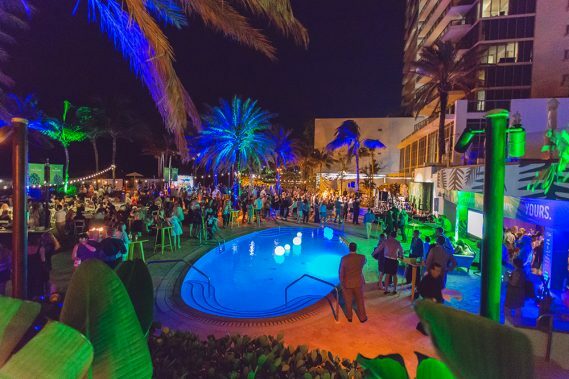 This year’s conference will also feature a special track for attendees who would like to bring a spouse, partner or friend to attend the opening day sessions with Serena Williams and Erik Wahl, as well as the Tuesday evening reception and morning activities (Yoga, 5K). 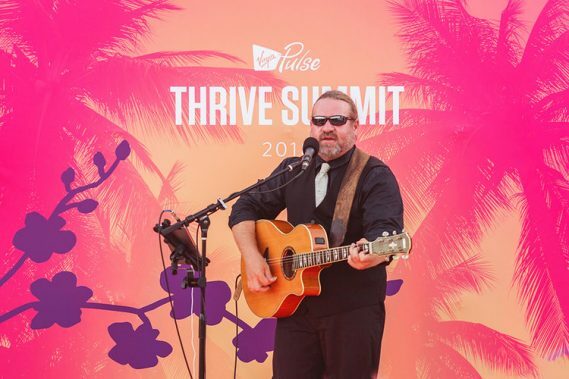 For information on the Virgin Pulse Friendly Fare track, please visit: www.thrivesummit.com/register-now. Thrive Summit early bird registration pricing of $795 has been extended until February 20, 2018. Join the conference to learn how you can make a measurable impact on company culture through wellbeing and engagement programs that empower, inspire, and engage. Register today at www.thrivesummit.com.